Glen Durrant, three-time BDO world champion has announced his change to the PDC circuit after he earned a two year tour card through Qualifying School. The 48 year old British darts player was one of the nineteen successful players after four days of the competition, which was played in Wigan. Durrant, after the event said that his success was as good as winning the championships at Lakeside, adding that there was a lot of pressure on him, and that he was proud of what he was able to achieve. Durrant managed to fire 13 180s, with an overall average of 95.20, which is almost the same as Professional Darts Corporation finalist Michael Smith, who was eventually beaten earlier into the tournament while playing at Alexander Palace. A move to the PDC might mean the end of his BDO career. A number of players that were affiliated with the British Darts Organisations were involved in the Q-School after a rule change removed sanctions against players wanting to compete in Professional Darts Corporation events. Before that, the PDC offered four semi-finalists at Lakeside a tour card, but the 2014 winner, Stephen Bunting, was the only champion that accepted the offer. Durrant claimed his third consecutive win at the BDO World Championships earlier in January, beating runner-up Scott Waites 7-3 for the final round of the tournament. Two-time champion Waites did not receive his tour card, but finalist from 2018 Mark McGeeney was one of the group who did manage to qualify. 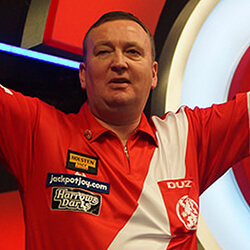 Reigning BDO World Champion Glen Durrant managed to move into the quarter-finals of the 2019 tournament after beating compatriot Scott Baker with a 4-3 victory. Durrant, who is a Lakeside …. BDO women’s world champion Lisa Ashton gave Jan Dekker the fright of his career during the opening night of the PDC World Championship playing played at Alexandra Palace. Ashton was …. World number one Michael van Gerwen has stated that he hasn’t had his best year, but feels that there is more to come as he looks to win the third …. Fan Revels at BDO World Darts Championship The 2018 BDO World Darts Championship kicked off at England’s Lakeside Country Club in Frimley Green, Surrey on Saturday. Australian betting fans watching …. 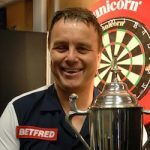 Classic BDO World Darts Championship Upset Remembered The 2018 British Darts Organisation (BDO) World Darts Championship will be held for the 33rd year running at the Lakeside Country Club in ….